Compare to February 14, 2018. 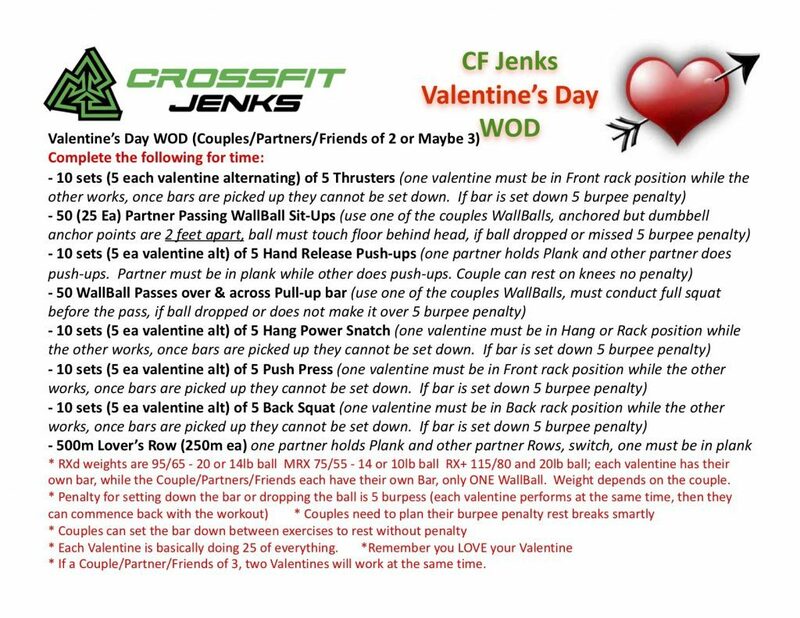 WOD Rx’d with Jennifer C.
I’d tell her great job and thanks, but she doesn’t look at these posts! Modified: 35# bar, 8# WB, push ups were a train wreck! 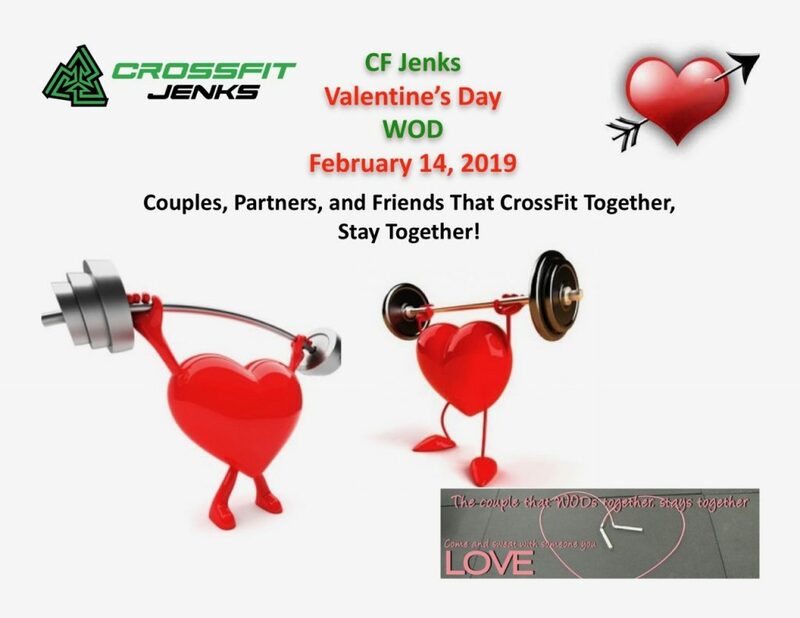 Zero burpees, because this day is about love! That one made a man out of me. Thanks for the push!